We’ve all heard that breakfast is supposed to be the most important meal of the day, but you might be wondering exactly what you should eat for breakfast to lose weight with phentermine. As well as boosting energy levels and helping concentration, getting the right nutrients in the morning can also really help you on your weight loss journey. Breakfast helps you lose weight by boosting your metabolism and by stopping those cravings for unhealthy mid-morning snacks. Here, we tell you all you need to know about how to start your day the right way to lose weight with phentermine. Maintaining a good metabolism is an important part of long term weight loss. If you eat nothing until lunchtime, this can mean your body is without food for up to 18 hours. Instead of running smoothly and burning off calories, your body is trying to conserve everything it can. A healthy breakfast will speed up your metabolism and make your body work more efficiently. So, after taking your phentermine first thing, you should fuel up with a healthy breakfast as part of your ideal phentermine weight loss schedule,. Rather than saving you calories, skipping breakfast can actually stall weight loss. Furthermore, those who skip breakfast also have difficulty fitting important weight-loss-boosting nutrients into their diet as many breakfast foods contain significant amounts of vitamins C and D, calcium, protein, iron, and fiber. One way round this is to supplement your nutrient intake with Phen Vites, the only multivitamin specifically designed to help those losing weight. Phen Vites are packed with all the essential vitamins and minerals you need to stop cravings, boost health and metabolism. Phen Vites also help to minimize the side effects of phentermine such as insomnia, fatigue and mood swings. However, even with this vitamin-hit, you still need to eat breakfast to lose weight with phentermine. It seems counter-intuitive that eating breakfast can help you lose weight, but it’s true as eating breakfast stops you from craving unhealthy foods and overeating later in the day. Being over-hungry can lead to a lack of self-control and distorted satiety signals mean it’s more difficult to know when you’re full. In addition, skipping breakfast can increase your body’s insulin response, which in turn increases fat storage and weight gain. Therefore, skipping breakfast actually increases your risk of obesity, as many studies into those who skip breakfast have shown. As much as we would all love to have a leisurely breakfast with our families at the kitchen table, this often isn’t possible with the busy lives we lead today. However, many breakfast foods can be prepared quickly, such as cereal, fruit and yogurt, or whole wheat toast with nut butter. Even a handful of nuts, a smoothie, or portable fruit like bananas and apples can give us a much-needed boost before we set off for work or school. Another great diet tip is to cook things ready for the week on a Sunday night, such as some boiled eggs as on-the-go snacks, or a vegetable frittata to eat over a few days. Some people really can’t face food in the morning and sometimes phentermine can leave you with little appetite, but everyone should at least try to have a little something – such as some skimmed milk or a healthy homemade smoothie – and then you can bring along a healthy mid-morning snack for when hunger hits. If you think you’re doing fine without breakfast, just try changing for a week – you’re likely to notice a difference in your energy levels, mood and concentration, not to mention your eating habits throughout the day. Fruit is a great breakfast choice as it can help you lose weight by making you feel fuller on fewer calories. Unprocessed fruits contain a lot of water and fiber, which take up a lot of room in your stomach, leaving less room for other foods. Great breakfast options are grapefruit, cantaloupe and watermelon for their water quantities to hydrate and fill you up, while raspberries, blueberries bananas, apples, kiwis and pears are all great sources of fiber, which keeps you full for longer. Enjoy your fruit on its own, in a homemade smoothie, or with some low fat yogurt. Yogurt is an easy yet very healthy option for breakfast. Low fat plain yogurt has a lot of calcium, which has been shown to aid weight loss, and low fat Greek yogurt is high in protein which fills you up on fewer calories – just make sure that whichever yogurt you choose is unsweetened. Oats, especially the steel-cut rolled variety, are full of fiber, protein, and resistant starch which help you feel full, burn fat and boost your metabolism. Top them with fruit, nuts and yogurt for a great breakfast full of flavor and texture. Whole wheat bread is great for its fiber content, making you feel fuller for longer. But don’t add empty calories with jelly or butter, instead, add some almond butter, which has less saturated fat than peanut butter, and is high in protein and healthy monounsaturated fats. Eggs are perfect in the morning as they are high in protein and have been shown to aid weight loss when eaten for breakfast. They are also very versatile, making a great topping for whole wheat toast when scrambled or poached, or they can be a handy portable breakfast snack when boiled. Cereal is a breakfast staple, but often people don’t know which ones to choose for the best. The ideal choices are cereals with at least 5 grams of fiber and less than 5 grams of sugar per serving. Topping your cereal off with some skimmed milk and fruit gives you an ideal breakfast combination of filling whole grains, calcium, and energy-boosting protein. Green Tea is a great option in the morning as it hydrates like water but the polyphenols and catechins in green tea also give your metabolism a boost. You might prefer a coffee but try to limit your intake as much as you can while you’re taking phentermine. Although caffeine is a weight-loss booster, coffee has been shown to increase the acidity of your urinary pH, meaning that phentermine is expelled from your system sooner. De-caffeinated coffee has the same effect so it’s the coffee itself that causes this effect rather than caffeine. 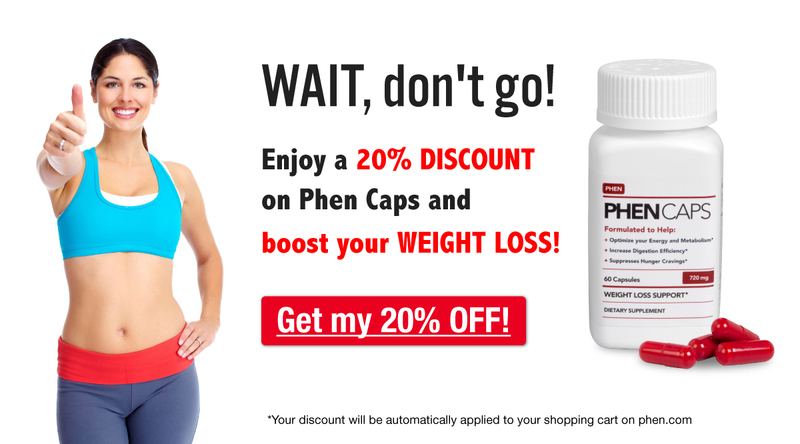 Phentermine should give you the energy boost you need with coffee, but if you do feel like you need a little extra help then adding the non-prescription supplement Phen Caps to your daily routine can help to boost the effects of phentermine and your weight loss results too. Eating a high-protein, high-fiber breakfast is the best way to start your day and the best option when it comes to losing weight with phentermine. We would love to know the types of foods you enjoy eating for breakfast, or if you have any recipe ideas you would like to share! It depends on how much weight you wish to lose. To understand this, let’s have a look at this: if your daily calorie consumption is 1200 and your body is burning 1500 calories per day, you are creating calorie deficit of 300 which means your body will lose weight but if you are eating 1800 calories and your body is burning 1500 calories it means you are taking surplus calories of 300 which is going to embedded in your body as body fat and you will gain weight eventually. According to CDC, if you want to lose weight, you should burn more calories than you eat. An average man needs 2000-2500 calories to maintain weight and in order to lose one pound of weight per week, per day calorie intake should be 2000. Similarly, for an average woman to lose one-pound weight a week, daily calorie intake should be 1200-1500 calories per day however, a normal calorie intake must be 1500-2000 per day to maintain weight. Plan you diet in such a way that you are taking the right amount of calories per day if you wish to reduce weight or else use calorie deficit calculators or smartphone apps which provides a complete guide and method to maintain a calorie deficit diet.